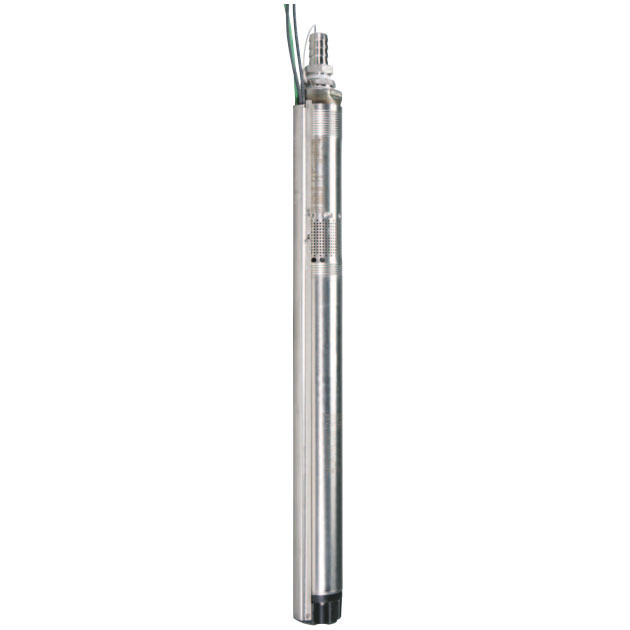 The Grundfos Redi Flo 3 Pump 12/2 Jacketed Santoprene wire furnished in a pre-cut 225 foot lengths. Stranded copper conductor, 2-wire with ground. 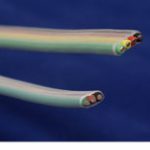 For use with submersible pumps in water wells, cable is UL approved for this application. Suitable for hot or cold conditions, from -50°F to 200°F, 105°C dry, 75°C wet, 60°C in oil. Santoprene® Thermoplastic rubber is inherently resistant to a wide variety of oils, solvents and chemicals. Section 501-11 of the 1990 National Electric Code, entitled flexible cords, Class 1, Division 1 and 2 (pages 70-442) has been interpreted by inspectors such that a flexible cord is appropriate for use with Electrical Submersible Pump in Class I, Division I, Group D applications. This is accomplished by the drop pipe connected to the pump or by the safety cable. Jacketed Santoprene® lead generally meets the flexible cord requirements as interpreted by these inspectors. Santoprene® should not be used in free product applications. Please use a FEP Fluoropolymer.